Enveloped, spherical to pleomorphic, no head-tail structure. The capsid is about 80 nm in diameter. Circular, dsDNA genome of about 12 kb, encoding for at least 14 ORF. 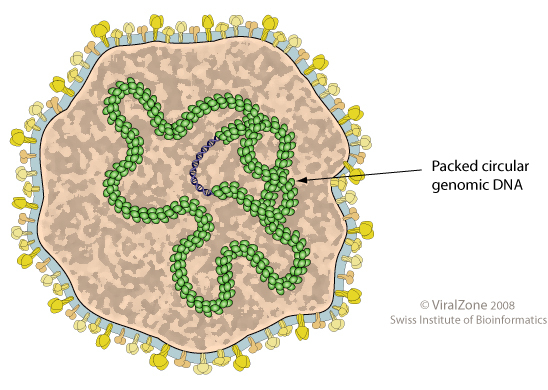 The viral genome is integrated into host chromosome and transcribed by host polymerase. ETYMOLOGY Plasma: from Greek, “shaped product”. Referring the plastic virion shape. NATURAL HOSTS Mycoplasma: Acholeplasma sp.